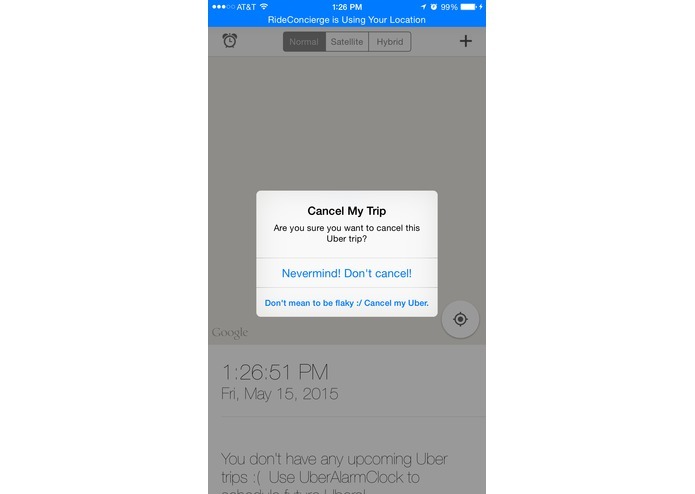 Schedule your future trips and never wait for an Uber again! 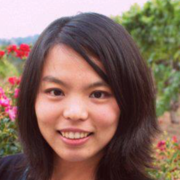 I was inspired to build RideConcierge to help Uber riders schedule their trips in advance and reduce the stress of determining when to call for an Uber. Also, I was inspired by friends expressing their frustrations with having to wait for their drivers to arrive after they've requested the Uber. 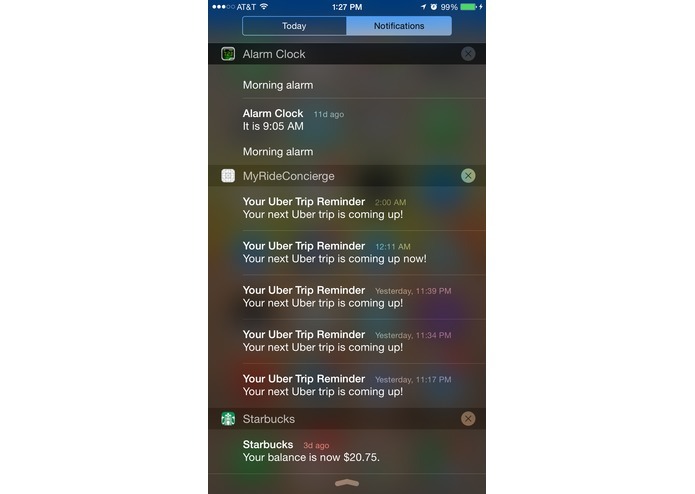 As an Uber ride myself, I really wanted an app that could allow me to schedule recurring trips in advance (e.g. 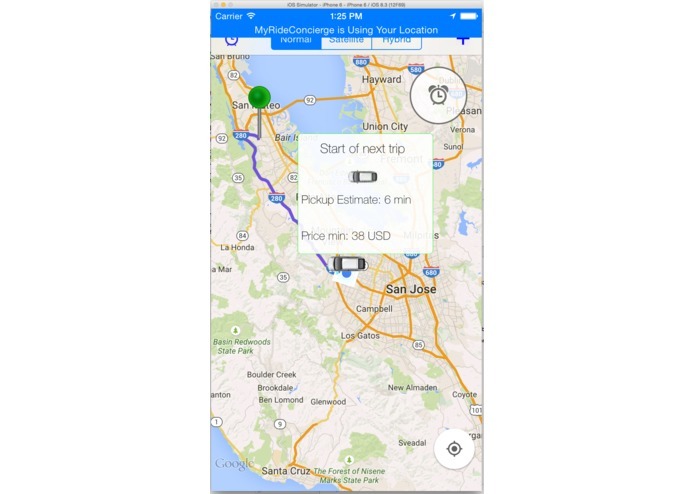 daily work commute via UberX at 9:30am) or plan a trip far in advance (e.g. an UberSUV to take my team to the airport for a conference in June). 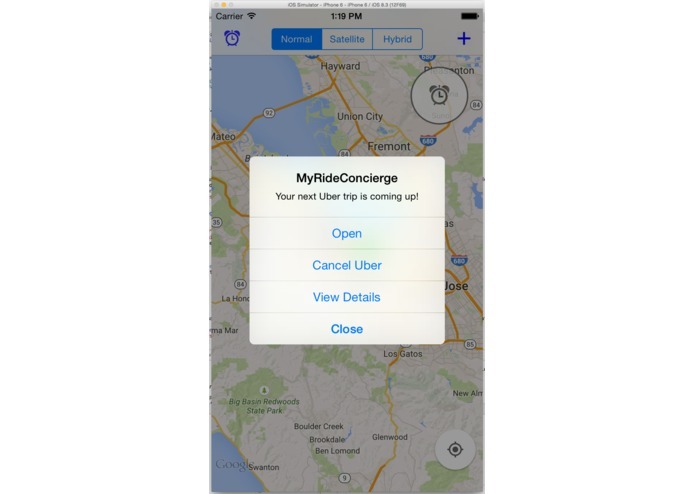 I created RideConcierge with all of these factors in mind, and in particular, I wanted to provide riders a delightful, simple and easy-to-use iOS app to improve their Uber scheduling experience. 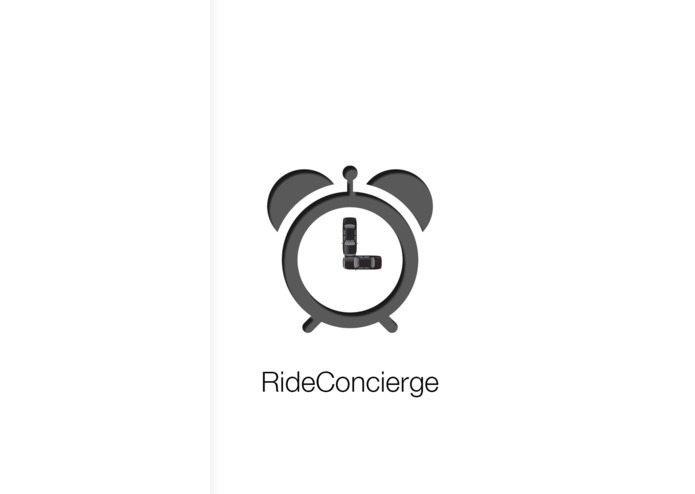 As I like to tell friends, RideConcierge is the rider's personal "Uber Alarm Clock" Concierge! 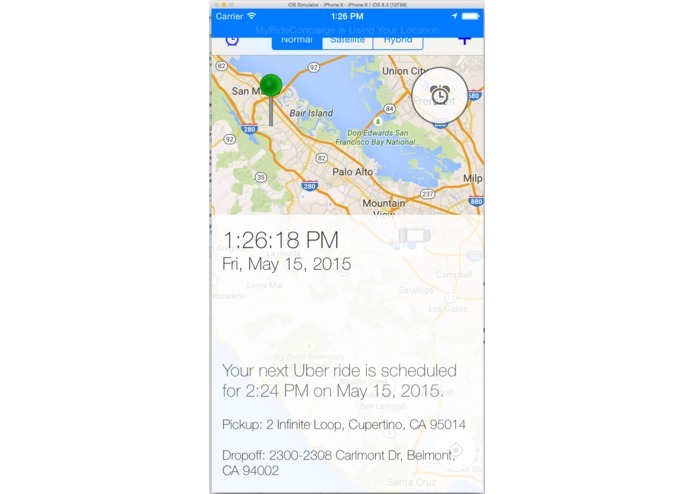 Riders can schedule Uber trips in advance. 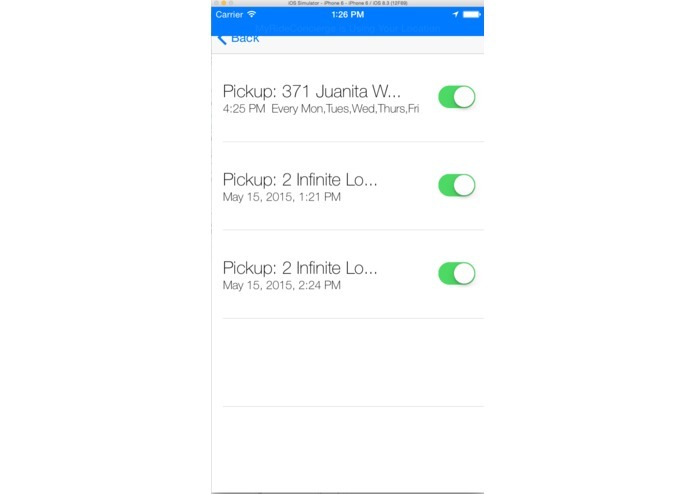 The One-Time Alarm Mode allows riders to schedule an one-time trip; Recurring Trip Alarm Mode allows riders to schedule weekly repeating rides. 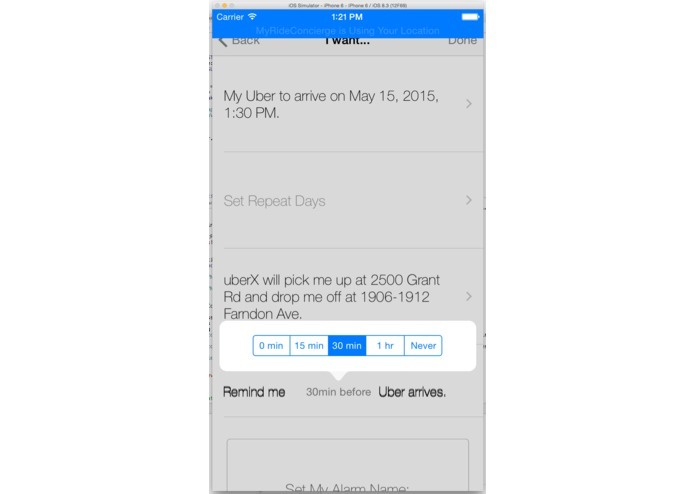 Riders can choose to receive a reminder notification at a specified time (e.g. 15 min, 30 min, 1 hr) prior to their Uber arrival. 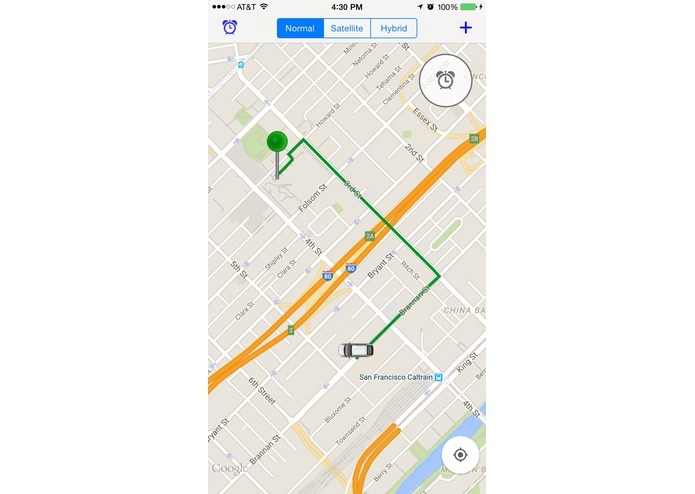 Riders can specify pickup and dropoff (optional) locations via Google Maps, and RideConcierge will display the nearest known street address. 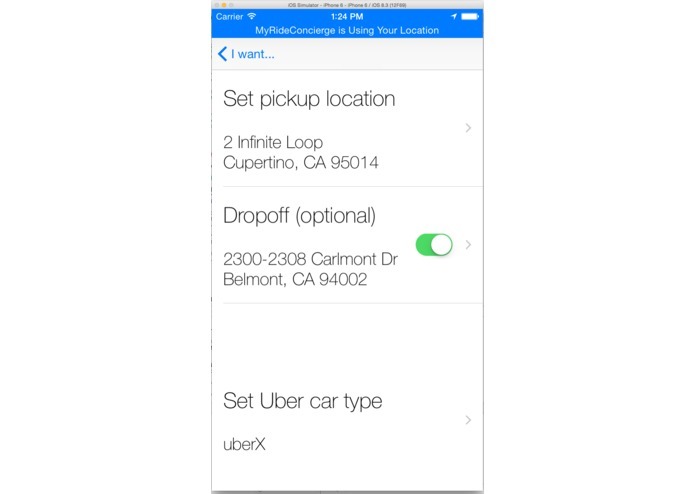 Riders can specify Uber car preferences as well (e.g. UberX, UberBlack). 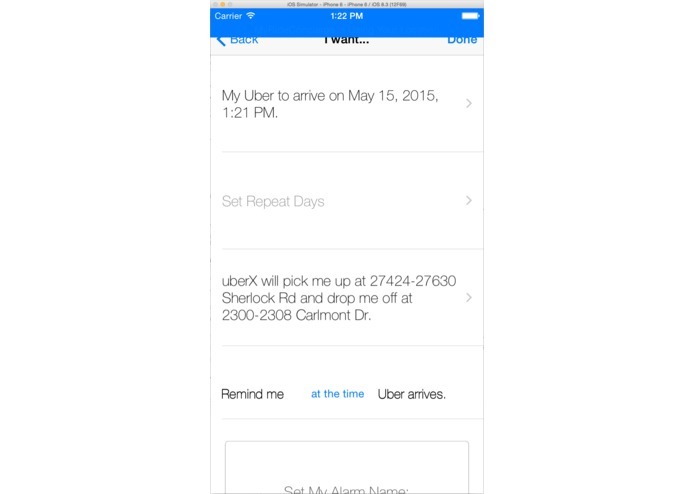 Riders can easily view all of their scheduled Uber alarms from the Alarms List page, and they can toggle alarms on/off or delete any alarm. 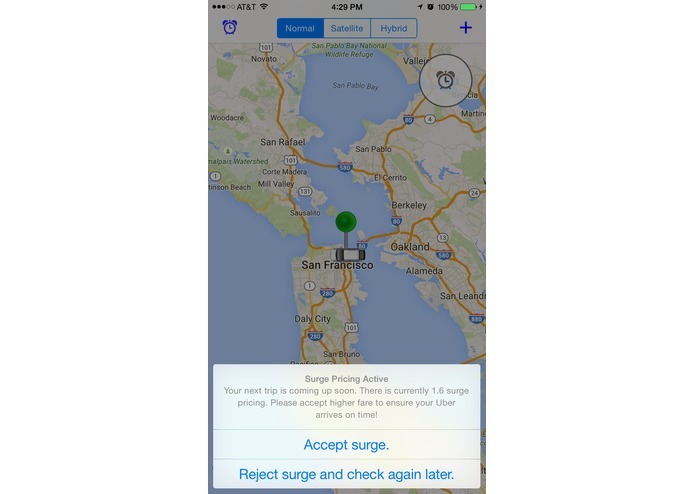 Riders can accept or reject Surge Pricing via RideConcierge. Riders can tap on the map pins to view the highlighted (optimal) driving route, along with additional info for their trip. 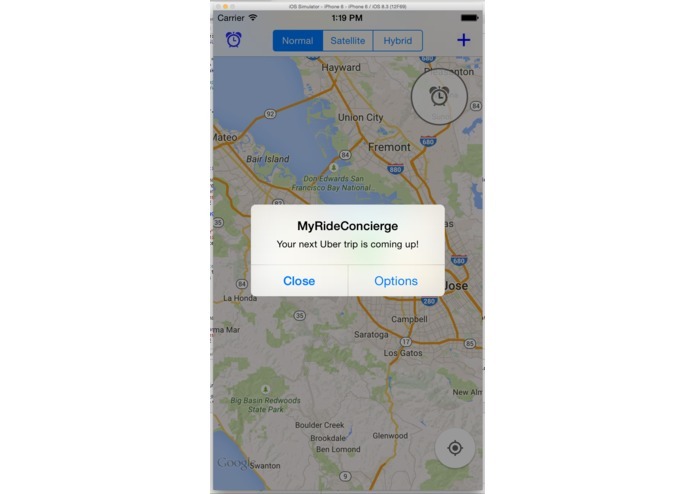 I designed and built RideConcierge using iOS (Swift), Parse and Google Maps iOS SDK.